In this Jan. 23, 2018, photo, Leah Hill, a behavioral health fellow with the Baltimore City Health Department, wears a shirt advertising the health department’s opioid overdose awareness efforts. The overdose-reversing drug naloxone saves thousands of lives each year and is more widely available today than ever. So why do overdose deaths across the U.S. continue to rise? According to one 2018 study, naloxone itself is partly to blame. 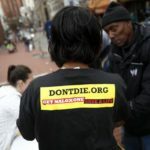 Naloxone, the authors of the study wrote, increases opioid use and does not reduce opioid-related mortality overall because it provides users with a “safety net” and thus encourages riskier drug use. The paper set off a Twitterstorm and controversy even among those who don’t air their disagreements digitally. From the perspective of a public health researcher, I can say the weight of evidence suggests that naloxone, which is often sold as the brand name Narcan, is a vital tool in fighting the overdose epidemic and, in fact, is too often not available where it is needed most. The “moral hazard” discussed in this study is an economic term, not an ethical one. It describes increasingly risky behavior in response to policies or innovations that lessen associated consequences. An example? Driving more recklessly with auto insurance than without. The authors infer increased risk-taking based on trends such as ER use, crime and death, that they otherwise cannot explain. They marshal a few journalistic accounts of parties where users intentionally overdose and revive each other with naloxone. They also cite a health risk behavior literature describing increased sexual risk taking in response to anti-retroviral treatment. But harm reduction experts have said that journalistic accounts of “Narcan parties” are inaccurate and public officials who have warned of their danger acknowledge, on follow-up, that the parties are urban legend. Other studies of increased sexual risk behavior in response to anti-retroviral treatment conclude that this is a patient-education problem. In fact, though the relevant research on naloxone is limited, the few studies that have been conducted echo the anti-retroviral literature in emphasizing education as critical to achieving harm reduction. Providing education and training alongside naloxone improves users’ ability to accurately identify and confidently respond to overdoses. 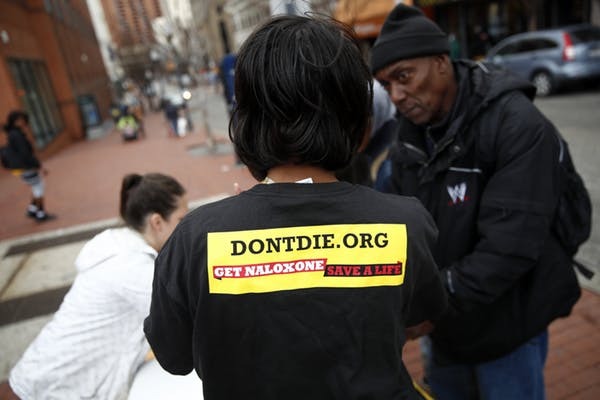 But more research is needed to ensure that the overdose education and naloxone distribution model achieves harm reduction beyond reversing overdoses. After Ohio passed its naloxone law in 2014, overdose deaths surged. But the Cuyahoga County Sheriff’s and Cleveland Police departments did not start carrying naloxone until mid-2017, and as the Cleveland Plain Dealer reported as recently as April 2018, “Narcan should be available across northeast Ohio, but it’s not.” A recent study in Ohio found persistent barriers to naloxone distribution similar to those experienced in New Hampshire, including cost, stigma and legal fears. There is a better explanation for the continued rise in overdose deaths, and I believe it suggests that naloxone should be far more widely distributed. From 2013 to 2016 – when most states passed naloxone laws – fentanyl seizures at the border rose astronomically. In 2017, nearly 1,800 pounds were seized. To put that in perspective, consider that a lethal dose weighs 2 milligrams. By then, fentanyl was already the drug most commonly involved in overdose deaths. The study’s authors assert that “broadening naloxone access increased the use of fentanyl.” But evidence suggests that fentanyl deaths commonly occur among unknowing users because heroin and other drugs are easily and often adulterated with cheaper, more potent fentanyl. The Centers for Disease Control and Prevention notes that fentanyl follows the supply of white powder heroin in the U.S. precisely because it can be easily concealed and passed off as pure heroin. As a result, fentanyl is far less common in states, such as California, where black tar or brown powder heroin are predominant. These perspectives from people on the ground – users, first responders and others – are particularly critical to understanding the complex relationships between fentanyl, naloxone and drug use behavior because secondary data on fentanyl are unusually unreliable. That is why the authors of the “moral hazard” study cannot control for it. Instead, their claim that moral hazard is driving fentanyl use is an inference, one that dangerously belies the fact that naloxone has not been widely distributed in many places – like New Hampshire and Cuyahoga County, Ohio – where overdose deaths continue to rise. A few public officials, like Maine’s Governor Paul LePage, believe that naloxone does not, on balance, benefit society. But naloxone skepticism is rare among experts. No professional organization has taken the position that distribution should be limited in order to prevent riskier drug use. The American Public Health Association and the U.S. surgeon general have issued unambiguous statements in support of naloxone’s broadest possible use. Naloxone is not itself the answer to the country’s drug crisis. Nor can making it so widely available be achieved without costs – from the financial cost of Narcan kits to an increased burden on emergency services to the psychological toll that reviving the same person time and again can exact on responders. Undoubtedly, another cost is that some users will use naloxone as a “safety net.” But it remains a powerful public health tool. It saves hundreds of lives every day and, if distributed with appropriate education and training, has the potential to save many thousands more. The research needed now would identify strategies to mitigate those costs and to distribute naloxone as widely as possible.